Hydrosols contain all of the plant in every little drop of aromatic water. Hydrosols, flower waters or hydrolats are the aromatic waters produced via distillation. They have been a part of herbal history for as long as distillation has been around. 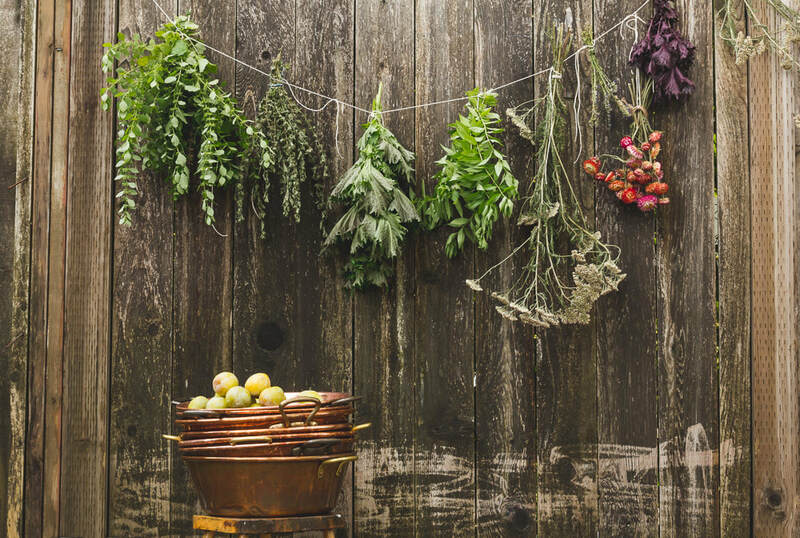 Our hydrosols are made in a Copper Alembic Still with organic or biodynamically* grown herbs and fruit, wild plants and bark, and purified water. They do not contain additives, preservatives or synthetic ingredients. Remember to store your hydrosols in the refrigerator. Hydrosols have similar properties to essential oils, but are much less concentrated, making them softer and safer to use. They have the beautiful scent of the plant. *Biodynamics is a holistic, ecological, and ethical approach to farming, gardening, food, and nutrition. It is rooted in the work of philosopher and scientist Dr. Rudolf Steiner, whose 1924 lectures to farmers opened a new way to integrate scientific understanding with a recognition of spirit in nature.